I'm the professor and PhD supervisor in School of Computer Sciences of Beijing University of Posts and Telecommunications, deputy director of Beijing Key Lab of Intelligent Telecommunication Software and Multimedia. The main research interests include data mining, machine learning, artificial intelligence and big data analysis. In the recent five years, I have published more than 50 refereed papers, including top journals and conferences in data mining, such as IEEE TKDE, ACM TIST, KDD, AAAI, IJCAI, and CIKM. And in the meanwhile, my first monograph about heterogeneous information networks have been published by Springer. Also, I have applied for more than ten national invention patents and one international patent, four of them have been authorized. I have been awarded the best paper award in ADMA 2011 and ADMA 2018, the excellence award of CCF-Tencent Xi'niu'niao fund, and have guided my students to the world champion in the IJCAI Contest 2015, the premier international data mining competition. I'm also the recipient of “the Youth Talent Plan” and “the Pioneer of Teacher's Ethics” in Beijing. Social network analysis, including heterogeneous information network analysis and community detection. Social media analysis, including POI recommendation, Weibo analysis and opinion mining. Multi-objective machine learning, including clustering and multi-label learning. Theory and applications of evolutionary computation. Multi-objective evolutionary algorithms and their applications. Tecent XiNiuNiao: "Research of Multi-Criteria Clustering based on Advertising Marketing"
National Science Foundation of China: "Research on Key Techniques of Heterogeneous Information Network Analysis based on Social Media Big Data"
Beijing Municipal Natural Science Foundation: "Research and Application of Representation Learning on Heterogeneous Information Network"
National High Technology Research and Development Program ("863"Program) of China: "Key techniques of big data applications on intelligent power’s distribution and usage"
National Science Foundation of China: "Research on Clustering Analysis of Heterogeneous Information Network"
CCF-Tencent: "Research on social recommendation based on heterogeneous networks"
Ministry of Education - China Mobile Joint Research Plan: "Research and Development on Data Analysis and Cloud Computing Platform based on Enterprise Informatization"
National Science Foundation of China: "Research on Unsupervised Machine Learning based on Evolutionary Multi-Objective Optimization (EMO)"
BUPT-NOKIA Joint Research Laboratory: "Social Network Analysis and Visualization from Multiple Data Sources"
Ministry project: "Visualization and mining system based on social network (I-III)"
Workshop in Netscix 2018: Invited talk: Heterogeneous information network based recommendation. MuNFA workshop in IEEE DSC 2017: Invited talk: Knowledge Graph Mining: A Heterogeneous Information Network Perspective. CCF ADL 2017: Invited talk: Heterogeneous Information Network Modelling and Analysis. Chairman and Organizer of MuNFA workshop in IEEE DSC 2017. Social Computing Submit 2016: Keynote speech "Heterogeneous Information Network Analysis and Applications". ECOLE 2015: Keynote speech "Evolutionary Multi-objective Machine Learning". 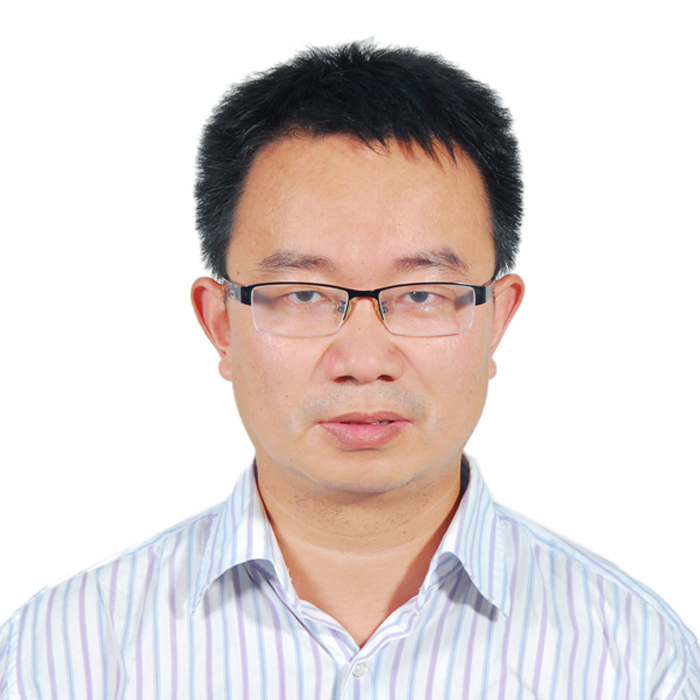 IEEE / ACM Member, Member of China Computer Federation; Senior Member of Chinese Association for Artificial Intelligence. Youth AE of SCI journal "Frontiers of Computer Science". Chairman of HINA Workshop 2017 (Heterogeneous information network analysis). Reviewer of international journals including IEEE TKDE, IEEE TKDD, IEEE TPDS, ACM TIST, PLOS, IEEE TSMC-B and KBS; PC Member of conferences including KDD, CIKM, AAAI, PAKDD, CEC; Reviewer of NFSC proposals. Excellent Young AE of SCI journal "Frontiers of Computer Science"